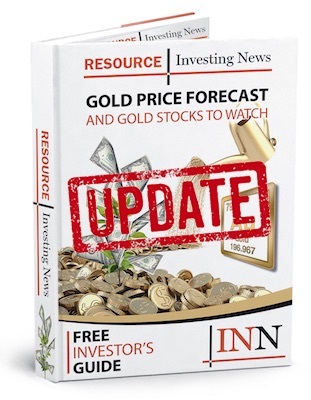 Moho Resources has stumbled upon a virgin gold and base metals discovery at its Empress Springs gold project in Queensland. Moho Resources (ASX:MOH) has stumbled upon a virgin gold and base metals discovery at its Empress Springs gold project in Queensland. The company says it discovered the gold-silver–zinc–lead mineralization in shallow basin sediments where there had been no previous drilling. The discovery came as part of Moho’s maiden reconnaissance drill program, which began in November 2018. “The results from Moho’s maiden reconnaissance drill program at Empress Springs are outstanding. They support the company’s view that we may be sitting on top of a significant gold/base metals mineralised system, perhaps similar to the 1.2 [million ounce] historic Goldfield at Croydon,” Moho Managing Director Shane Sadleir said in a statement. Empress Springs is comprised of three adjacent exploration permits that span 773 square kilometers, located 25 kilometers south of the town of Croydon. Just north of the town is the Croydon Goldfield, which according to Moho contains over 300 gold occurrences and has historically produced an estimated 1.2 million ounces of gold. Drill results from the Arrowhead prospect at Empress feature a discovery hole intersection of 10 meters at 1.1 grams per tonne (g/t) gold from 44 to 54 meters, including 2 meters at 2.1 g/t gold, 2.5 g/t silver, 0.26 percent zinc and 0.14 percent lead from 50 to 52 meters. Meanwhile, anomalous gold mineralization of 0.94 g/t gold from 63 to 65 meters was found in the basement at Empress’ Racetrack prospect. Going forward, the company intends to launch a 2,000-meter reverse-circulation drill program to follow up on the discovery at Arrowhead, along with an air-core drill program and further reconnaissance drilling across defined exploration targets. Moho will also conduct a heritage survey prior to air-core drilling. The company’s share price was unchanged at AU$0.125 at the end of trading on Friday (February 8).